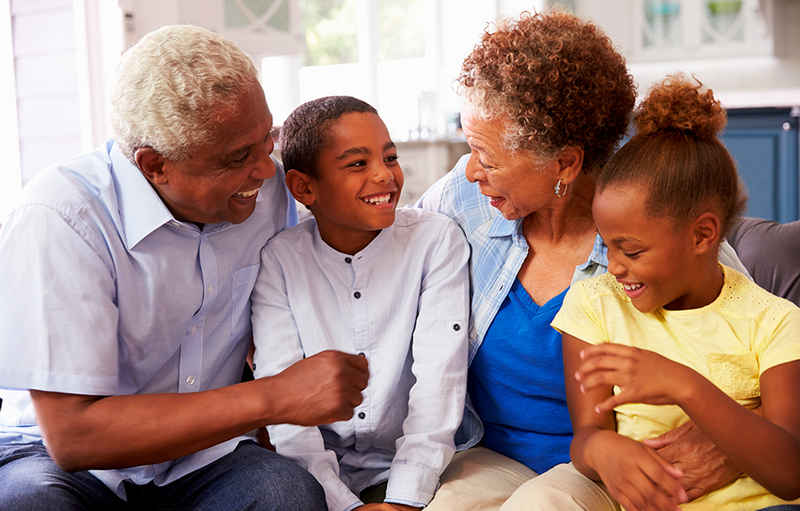 There are hundreds upon hundreds of stories about the influential relationship between parents and children, but what about grandparents? Oftentimes, grandparents have equally lasting effects on grandchildren. They may be stepping into a parenting role when needed, or just providing wisdom and comfort. From picture books to adult books, we’ve selected some audiobooks that explore those ever-important grandparent-grandchild relationships for listeners of all ages. Miranda Richmond Mouillot journeys to France to find out what happened between her grandmother, a physician, and her grandfather, an interpreter at the Nuremberg Trials, who refused to utter his wife’s name aloud after she left him. As three generations of Kelleher women descend on their Maine property one summer, each brings her own hopes and fears. Kate Bowman temporarily moves to her grandmother’s Missouri farm with her husband and baby son in order to convince her ailing Grandma Rose to move into a nursing home. But when she discovers a journal, Kate see her life—and her grandmother—in a completely new way. Jewel never knew her brother Bird, but all her life she has lived in his shadow. Her parents blame Grandpa for the tragedy of their family’s past. Grandpa hasn’t spoken a word since. Then one night, Jewel meets a strange boy in a tree, and she decides to break through the silence of the past. It’s an exciting day for Llama Llama; he’s going to visit Gram and Grandpa Llama and spend the night! It’s his first night away from home….and from Mama. Joey and his sister, Mary Alice–two city slickers from Chicago–make their annual summer visits to Grandma Dowdel’s seemingly sleepy Illinois town, each one funnier and more surprising than the year before. This Caldecott Honor Book is about Cynthia Rylant and her grandparents’s lives in the Appalachian Mountains of her childhood. Grandmamma loves to tell about witches. There’s nothing real witches hate so much as children, and they work all kinds of terrifying spells to get rid of them. Her grandson listens closely to Grandmamma’s stories—but nothing can prepare him for the day he comes face-to-face with The Grand High Witch herself!